Before you can print and sign the Bank Feed Authority form, there are a couple of areas that you need to check in your database. Once the authority form has been processed by your bank, transactions will start to arrive into your database, it's as easy as that! Login to your Cashmanager RURAL online farm business. 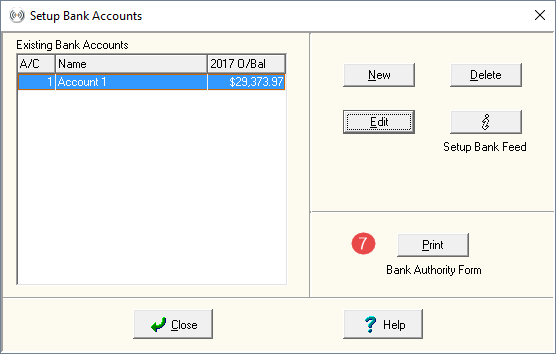 In the Transaction screen, click on Setup – Bank Accounts. 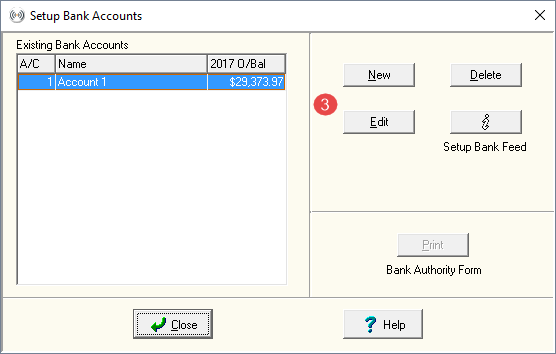 Edit an existing bank account, or select New to record a new bank account. Enter the bank account number and account name. 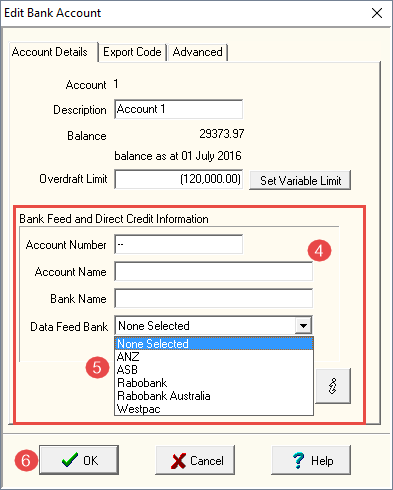 Select your bank from the Data Feed Bank field. The Bank Name field will automatically populate with your bank’s name. Click on the Print button to print the Bank Authority form. You will be redirected to the data feeds page on the website, www.cashmanagerrural.nz to Print the Authorisation form. If you bank with ASB, Rabobank or Westpac you will need to sign the authorisation form and post it to CRS Software, PO Box 692 Masterton. OPTIONAL: Choose which details are attached to each transaction i.e. the Particulars, Code and Reference information from the bank, or the note attached to the Cashmanager category or extended codes. From the transaction screen select Setup > Online Banking. Select your bank from the dropdown list. 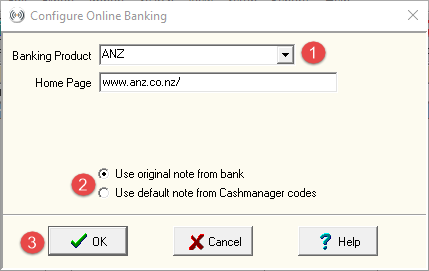 Choose to use the note from the bank or the default note from Cashmanager codes. Looks like your connection to CRS Community was lost, please wait while we try to reconnect.